Black Friday could not have come at a better time, as South Africans feel the pinch of the recession. This week, motorists will be able to snap up a car at a highly discounted price from dealerships across the country. Motorists are expected to realise savings to the tune of R40-million. The local move to embrace Black Friday comes as the motor industry faces a challenging year. 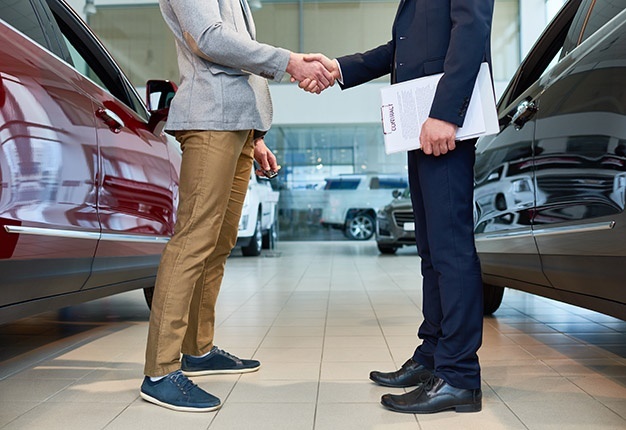 Car dealerships are keen to lift sales figures and meet their month-end targets – hence their willingness to offer these substantial discounts. Furthermore, they will be especially keen to move 2018 stock before year-end. AutoTrader CEO George Mienie says SA is experiencing a "discounting frenzy", citing more than 1000 Black Friday deals on their website alone. Discounts on offer range between 4% to 36%, on vehicles from every major car brand in the country, and across the model spectrum. "The impact of Black Friday on the motor industry this year is expected to be big," he comments. According to research conducted by Global Analysis Team, the five most popular items on Black Friday are typically clothes, electronics, shoes, cosmetics/perfume and home appliances. If South African car dealerships have their way, cars will soon be added to that list. "A 30% discount on a the value of a car, cannot be compared to a 30% discount on a fridge," points out Mienie. "Buying a car for many people is the second biggest financial investment, after a home. The level of discounting on cars that we’re seeing, is significant, especially if you are financing the car and you add on the cost of borrowing." Luxury vehicles are offering the largest cost saving with a Bentley Flying Spur reported to be listed at a price of R2 999 950, which represents a R500 000 discount. There are bargains aplenty at the lower end of the price scale too. For instance, 33% has been shaved off the sales price of a Mini Cooper, which is now going for a mere R119 000. A whopping 36% discount has been applied to a Kawasaki Ninja, meaning a massive R100 000 discount; it's now selling for R57 750. A Volkswagen Tenaciti has been reduced from R89 950 to R74 950, a 16.68% saving. There are also some great deals on bakkies too, such as a Ford Ranger that has been discounted from R299 000 to R237 000, a saving of 20.74%. Black Friday deals within the South African automotive landscape are relatively new, but this has been happening overseas for some time. Black Friday car shopping has been big in the United States for a decade. In 2015, for instance, Black Friday accounted for more than 18% of all car deals made that month. There are lots of purported origins of Black Friday. Some say it pertained to a financial crisis after the crash of the gold market in the United States on September 24, 1869. Others say it can be traced to post Thanksgiving shopping, also in the US. Whatever its origins, Black Friday has now become a global shopping phenomenon. "Finally, we have some really good news for South African motorists who have been weathering costs like the petrol price increases. Black Friday is offering a great opportunity for cash-strapped South Africans," Mienie concludes.